May I suggest listening to this worship while reading the following. So many people say or think that God doesn’t hear their prayers, or at least, IF he hears them he doesn’t listen or doesn’t answer them. The fact is that He hears and answers all of our prayers. I believe that whether or not He answers in the affirmative or negative depends on the specific request itself …and how we ask for it in the first place. In observing thousands of Christians in prayer, I can say unequivocally that, at the very least, the problem isn’t with God…but with us. Duh! We, yes, even us Christians, don’t really have any idea of how to pray…and that applies to newbie Christians and ‘veteran’ Christians of 20 or even 40 years just the same. I’m totally convinced that 99% of all Christians simply think and believe that prayer is the act of coming to God with a list of requests, asking Him to solve our problems, pay our rent, help us find love, etc…without any concern for how He feels in the matter. The old ‘show up and throw up’ sales approach for getting what we want doesn’t work with God…he created the heavens and the earth and everything on it, so I think he’s a bit smarter than that. Oh you might get the occasional prayer answered - He loves you that much - but you won't see consistency. Remember that God is a person and that He created us, His children, in His image…which means that, as His children, we carry His DNA. He is our Father…our Papa. So, let’s talk about how to talk with Him instead of to Him. When you were a kid, if you wanted to ask your earthly father for a favor, how would you approach him? Would you just go running in and ask him straight up for what it was you wanted? I don’t think so. Most of us would try and schmooze up to dad a little, soften Him up if you will, before going in and asking for what we want him to do for us. The same principle is true with God. We have to set the stage with God before asking Him to help us. Why you ask? Because He made us for one reason and one reason only…to love and worship Him. So, if we truly love Him and long for His company and the honor of continuing to do His work - and want to fully receive His love in return (in the form of answered prayers in this case), we will do what He wants us to do…the reason for which we were created in the first place. 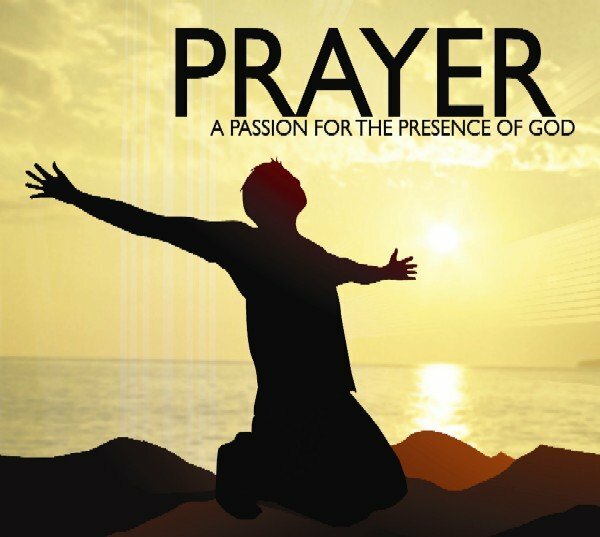 I recently heard prayer described as “the atmosphere of fellowship that you create with God in order to express your love for Him.” That’s about the best description of prayer that I’ve ever heard. As 1 Corinthians 1:9 states, "God is faithful (and therefore ever true to His promise), who has called you into FELLOWSHIP with his Son, Jesus Christ our Lord." Therefore, prayer is fellow-shipping (creating companionship) with Jesus Christ - not just the mere act of asking Him to fulfill your wants and needs but truly coming into His presence and just…being with Him. Remember when you were first saved and had that experience of Him coming to you and simply holding you and loving on you? Well, He loves it when we love on Him back...not just coming to Him with a laundry list of the things we want but really, sincerely, showing our love for Him. That's when you will quicken His response to your petitions and get real results. Notice I didn’t say positive results? That’s right. God can still be God and deny our requests based on what He deems right for us. Remember, He knows every second of your entire existence before you ever came into this world…and He knows what’s best for you. The scripture says “I will give you a future and a hope” - that future and hope comes through obedience…so stop whining about not getting your way and accept that God is doing the right thing by you. Isaiah 56:6-7 says "And foreigners who JOIN THEMSELVES to the Lord to minister to him, to love the name of the Lord...these I will bring to my holy mountain and make them joyful in My HOUSE OF PRAYER..." That is pretty specific about how to pray. When we pray correctly, we are entering into God’s house. We are no longer operating in the natural but in the Supernatural. The only way for us to do this is to ‘join ourselves’ to the Lord God…and minister to Him. Wait a minute, ‘minister to Him?’ Wow, how can we as mere fleshy parts minister to The Most High God? How ‘bout this…LOVE HIM and PRAISE HIM! Praising Him is the fastest way to God’s heart…and when we even attempt to honor Him, He loves us for it. Instead of making prayer all about us, try making it all about Him - And remember that in the original Greek language of the New Testament, Koine Greek, ‘All’ means ALL! Ask Him how he would like you to pray to Him, what you can do to please Him, ask for His guidance. Then wait for your response. I guarantee you’ll get one…and quickly. Remember the story about Cain and Abel? Why was Abel’s offering accepted by God and Cain’s not accepted? Because Abel entered into prayer with God and asked Him what He wanted - and then gave it to Him. Cain, on the other hand, didn’t consult with God at all and just threw some veggies together with no regard for what God wanted at all. The result was catastrophic for Cain. Everybody wants results from prayer. The issue is how we come before God in His house, how we create that atmosphere of fellowship with Him and just love, worship and praise Him. If you do this, you won't even have to ask - He knows what your wants and needs are anyway. He's God - Johovah Jireh, Yahweh, Yeshua - and He loves you. The only thing He asks is that you love Him in return. Finally, Thessalonians 3:10 tells us that prayer strengthens faith. So, if you lack faith pray more.